When youth dream of becoming a great basketball player, it takes determination and dedication to the game. Playing on a high school team every season might not be enough to continue learning and enhancing skills needed to play during college and beyond. That’s where Mike Scott’s basketball camps come into the picture. With personal basketball training, intense drills, and practice playing on a team against other talented players, youth can learn what it takes and the skills needed to play some serious basketball. 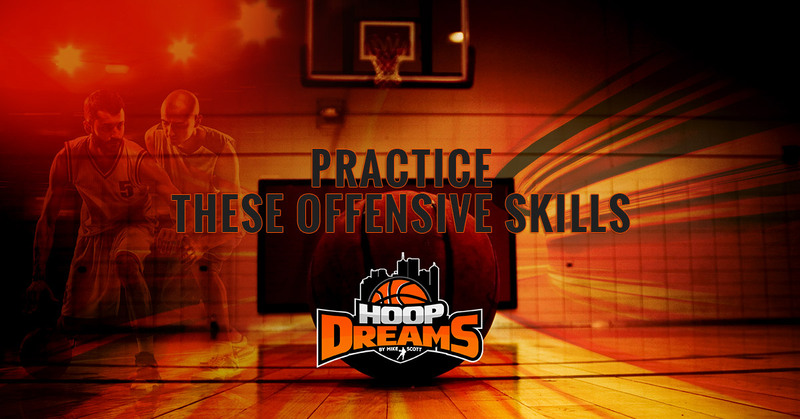 To get a head start, you can begin practicing these offensive skills that can help you become the player you dream of. When you join Mike Scott’s basketball league, you will have the attention and guidance you need; but practicing in and out of these leagues will ensure that you are headed in the right direction. It is helpful to practice this skill with other players, which will be done in our basketball camps. In order to keep the ball away from your opponent, the ball is “ripped” from side to side so it can remain protected. You can do this while keeping your eyes on your opponent so they don’t try to take the ball away. Practice both high rips and low rips, which are done by arching the ball above your head from one side to the other, or moving the ball in a low arch near your feet from side to side. This skill will protect the ball from opponents and give you a chance to see what is going on around you without fear of losing the ball. When you receive a pass, it is important to move your body into a ready position, whether you want to shoot the ball, dribble, or pass the ball again. Your knees will be bent with one foot behind you, keep the ball close to your body and position your hands on the ball so that you are ready to shoot or pass if necessary. Pivoting is a necessary skill in order for you to move without traveling. It is important to not turn your back against your opponent and clutch the ball closely to your body. Instead, pull the ball close to your chin, squeeze the ball tightly and keep your elbows and forearms parallel to the floor. Push off of one foot and rotate your body using the ball of the other foot. Practice receiving a pass, pivoting, and passing to another player. Dribbling with speed and accuracy can help you keep the ball away from the other team so you can move around the court with ease. The v-dribble is passing the ball from one hand to the other while bouncing it off of the floor in between. Practice keeping your fingers to the side and your hand on the outside of the ball. Keep the ball as low to the ground as possible and dribble back and forth as quickly as possible. There are many other offensive skills that will help you improve your game. If you want to practice these skills with other basketball lovers, register for a basketball camp with coach Mike Scott. 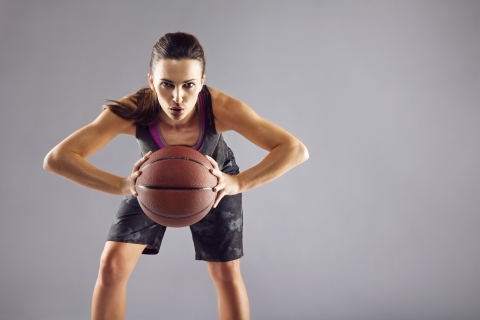 Hoop Dreams has basketball leagues for all ages and all levels of basketball experience. Train with the best to become the basketball player you strive to be.